This page lists many of the resources I use or have used and also others that my mentors recommend. The 90 Day Powerseller Challenge . This is written by John Thornhill, a very experienced eBay seller and full-time internet marketer, so he knows what he is talking about. John has created countless information products that have helped thousands of ordinary people to build their own successful online business. You can get “eBay Powereseller Secrets” for free from this site. John’s eBay ID is planetsms and it’s well worth taking a look at his eBay store and investing in some of his products, especially Auction Profit Streams, if you are interested in building a business selling on eBay. A full diary of achievements, which you can learn from and use in your own business ventures. Online Home Business Success is a complete guide that tells you all the steps to get your own home internet business up and running and making you money for years to come. Operation eBook by Paula Brett – Paula takes you step by step through the product creation process. SalesletterABC by Randy Smith To sell any product online you need a good sales page and Randy provides a ten step template to follow where you can copy & paste in your own details, highlighted with steps 1 to 10 so you know exactly where to place your elements of copy. Randy also explains what and why certain elements convert to sales the best. Resale Rights Blueprint – Another product from John Thornhill telling you how to build a resale rights business in 7 days. More MonthlyPlus is a low cost monthly membership site that is an excellent source of high quality resell rights and private label rights products as well as some that you can give away to your customers and friends. It is very easy to select and download the packages that interest you. This site is run by Randy Smith and I highly recommend it, not just for its content but because of the excellent customer service. When I joined recently, I experienced a few problems accessing the forum, but emails to Randy resulted in very quick fixes. 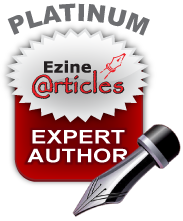 PLR Monthly membership, from Daniel Summer & Dave Nicholson, will give you a new mini-site website every month with everything you need to set up a niche business – you get an eBook to sell as well as a bonus eBook to give away, graphics, 25 articles on the topic and a sales page. It’s all ready for you to put up and send people to. From PLR Wholesaler (Gabor Olah) you can get free lifetime access to an ever-growing database of top quality private label rights. There is an upgrade option for further benefits. Affiliate marketing is when you advertise and sell someone else’s product and they pay you a commission on each sale. Typically this commission is from 50% to 75% so this is a good ways to make money even if you don’t have a website. FREE 130+ page case study that reveals step by step exactly what you need to know to build a profitable business not just a blog!